While most dealerships’ selections of used cars can generally be reliable, it’s still in a buyer’s best interest to give their own self-inspection of any targeted vehicles. By looking over every little nook and cranny, these customers may be able to identify an issue that would ultimately require them to spend even more money. For instance, a test drive can alert the customer to any mechanical issues, while uneven upholstery could indicate water damage. 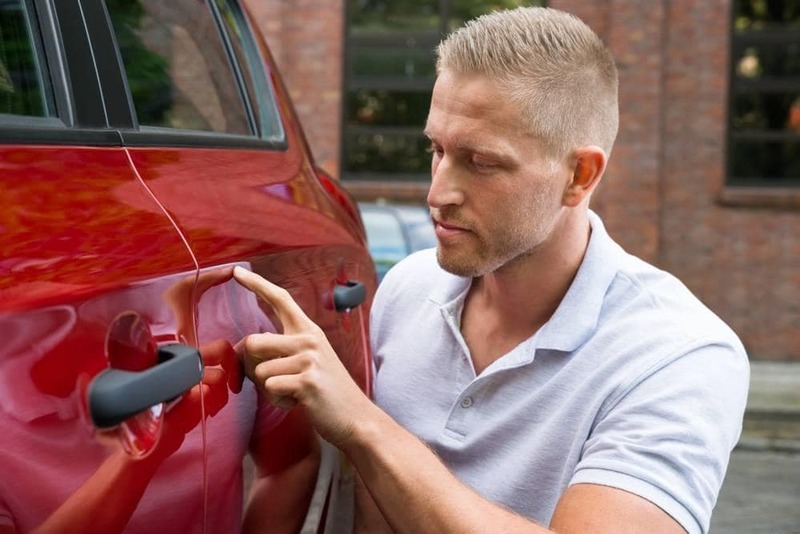 Potential car buyers may be so focused on a vehicle’s exterior or interior, that they may forget to inspect a targeted vehicle’s tires altogether. Sure, any issues with the tires presumably won’t compromise the entire vehicle (unless the seller has attached several non-uniform tires, in which case you do have a larger issue at hand). However, you’ll certainly have to dish out some extra money on replacements, and you could potentially try to deduct this amount of money from the seller’s initial asking price. It’s not all that hard to gauge whether a set of tires needs to be replaced. You can poke a small penny into the tread to determine its depth, which will help buyers determine the quality of the tires. If Lincoln’s head is mostly exposed, then that could be a clear indication that you need a new set. Alternatively, you could rely on a tread depth gauge or tread wear indicator bars to help provide more insight into the tires’ quality. It’s natural for a vehicle to show eventual signs of aging, so any random holes in the upholstery shouldn’t be overly alarming. However, it’s when these random blemishes get excessive that you should start to worry. While the vehicle’s messy interior won’t impact performance, it’s a clear indication that the previous owner didn’t take good care of the car. In this case, it’s uncertain whether there may be more sinister problems hiding under the surface. If you’re not too worried about the condition of your cabin, then you could use the reduced quality to help lower the asking price of your targeted vehicle. Inconsistent upholstery can also be an indication of water damage. If the interior seems to include different types of material (or if the consistent material has noticeable stains), you might want to pull up the vehicle’s history report. Aesthetically, water damage is rather easy to cover up. However, it’s tough to reverse the impact this issue can have on a vehicle’s mechanics, so there’s a chance that you may be eyeing a vehicle that really isn’t capable of operating properly. This interior inspection should also include an explanation for any peculiar maintenance lights. More often than not, these lights will appear if some type of repair is actually required. They’ll rarely appear on your dashboard unintentionally, so you won’t necessarily want to trust a salesman if they attribute a blinking light to faulty wiring. Instead, see if you can bring the targeted vehicle to a mechanic, as these independent experts should provide some clarity on any mechanical issues. One of the most common ways that used car sellers will attempt to manipulate their product is by altering the odometer. A used car obviously has more value if it has compiled less miles, so these sellers will fraudulently change the total. Therefore, they’ll subsequently be misinforming their customers. How could you possibly know if the odometer has been messed with? Well, for starters, the vehicle’s mileage should be reflected in the vehicle’s quality, especially on the exterior. If you notice signs of aging and wear that typically accompany high-mileage cars, then the odometer’s numbers should be rather high. Customers can even rely on the vehicle’s history report, as the mileage should have been updated following each round of maintenance. A simple test drive of a targeted used vehicle isn’t only useful for those who are trying to determine whether that car is a proper fit. Rather, a test drive will also alert the driver of any mechanical issues. For instance, an odd noise coming from the engine is never promising, and it’ll probably require an independent inspection from a technician. Meanwhile, those odd (but all-too-common) vibrations can likely be attributed to a faulty suspension system. The shock absorbers could be completely compromised, or the suspension could just be worn down. The majority of these issues will require a quick and inexpensive fix, but it’s still in your best interest in investigate any of these warning signs. It’s always a good strategy to take a friend or family member with you when you’re investigating a used car. This extra set of eyes might detect a problem that you’ve been overlooking. Alternatively, they can also inspect the vehicle’s exterior when the engine is running. If there’s odd smoke coming from the tailpipe, it’s probably obvious that the vehicle’s engine isn’t functioning properly. White smoke is standard condensation, but black smoke could be indicative of a dirty air filter, a faulty oxygen sensor, or a compromised mass-air meter. Blue smoke is likely a sign that oil is improperly burning, while thick smoke indicates that the head gasket has blown. Used car sellers probably aren’t being completely forthcoming and transparent about their various offerings, but customers can hedge their bets by investigating a vehicle’s history report. Thanks to this resource, potential buyers can view previous services, accidents, or failed inspections. Still, there’s no certainty that the vehicle report is providing all of the necessary information about a particular vehicle. As a result, it’s in the buyer’s best interest to visit an independent mechanic who can give a non-biased inspection of the vehicle. If it passes their approval, then you should be good to go. Of course, you really shouldn’t have any of these concerns if you’ve opted for any of the used vehicles available at DePaula Chevrolet. The dealership provides dependable and trustworthy vehicles, meaning you don’t have to worry about being stuck with a lemon.